Can you find the psychology (Ψ) and Cross symbols in our butterfly? 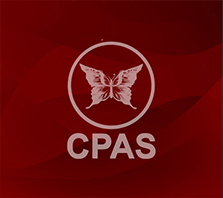 CPAS chose the butterfly as our symbol for a reason. The butterfly has been a symbol of transformation, hope and faith for thousands of years. 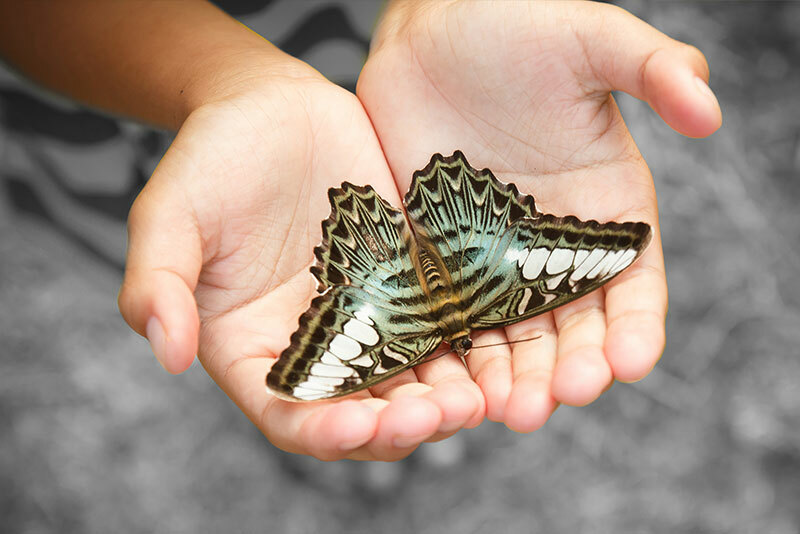 The butterfly is also a symbol of rebirth since it goes through so many life cycles -- from larva to caterpillar to chrysallis and finally to a beautiful, flying butterfly. Psychotherapy Works Like the Butterfly. "A man sat watching as a butterfly struggled to make its way through the tiny hole of its cocoon. Sensing the butterfly might be in trouble, the man decided to help." "Taking a pair of scissors, the man began to snip away at the cocoon, and soon the butterfly was free. But the man noticed something. The butterfly had a swollen body and small, shriveled wings." "The man watched with curiosity, expecting the creature's wings to enlarge and expand at any moment in order to support its body. But nothing happened. The butterfly was doomed to spend the rest of its life crawling around with a swollen body and shriveled up wings. It was never able to fly." "Through his eagerness to help the creature, the man did not understand that what he had witnessed from the beginning was part of the butterfly's developmental process. The restriction of the cocoon and the struggle required for the butterfly to get through the tiny opening is God's way of forcing fluid from the body of the butterfly into its wings to prepare it for flight." "Sometimes struggles are necessary if we are to grow in spiritual things. God may allow us to face tough challenges, but He always provides a way to get through them." From God's Little Devotional Book for African Americans, Honor Books, 2005. Butterflies have been found on some of the earliest Christian tombs, symbolizing joy and the resurrection of Jesus Christ. According to an old Native American legend, you should whisper your secret wishes to a butterfly, then set it free. Because the butterfly can't speak, your secret is safe. In ancient Greek, the word for butterfly was "psyche," which means the "mind" or "soul." It's where we get the word "psychology", which means "study of the mind." Learn more about CPAS and find additional resources.